In the past these guides have looked at setting custom alarm tones and setting custom ringtones but what I hadn't thought of including was setting a notification tone. A notification ringtone is the tone that will play whenever you get a text (like a text tone) or an e-mail or any other form of notification. in the right place open up the "Sound" setting screen (press menu on the home screen, select settings and then sounds) which should open up a screen a bit like the one on the left. What you need to do here is make sure "Silent mode" is turned off or else a number of options will be greyed out including the important one of "Notification ringtone". 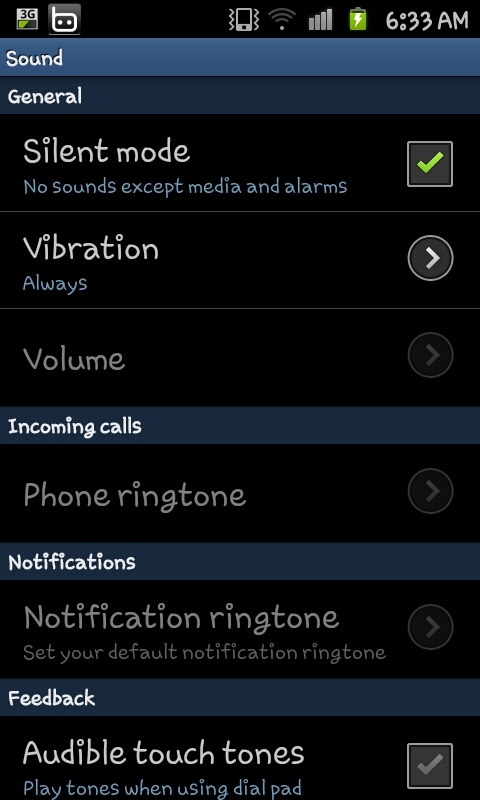 With silent mode deactivated you'll be allowed to click on on "Notification ringtone" as you can see in this screen shot to the right. After clicking on this you'll be able to select any track from the "notification" folder we looked at at the start. If you've decided, as I have here, to put your whole music collection into the "notification" folder you'll be able to select any song off your phone to play as a when you get a notification. When you've chosen the song press on "OK" as as long as you don't turn your phone on to silent mode you'll hear your choice of tone whenever you get a text or e-mail. Hey there thanks so much for your tips on the S2! 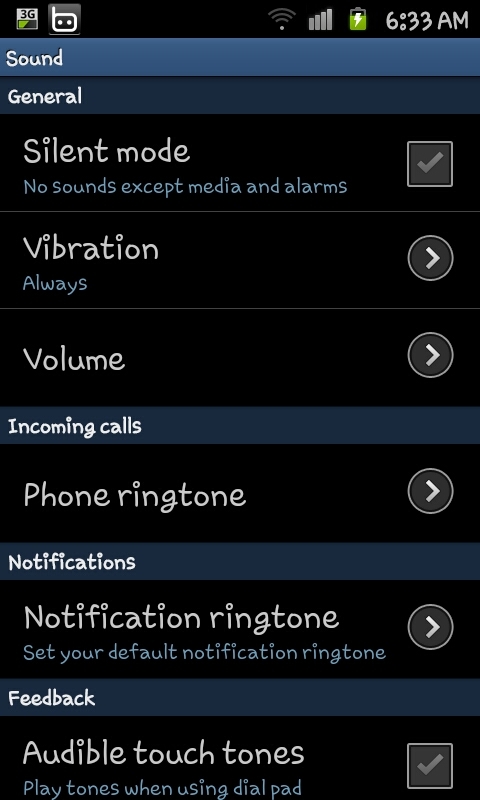 OK I'm a newbie forgive me.Now I know my galaxy sII will copy text but how do you paste it some where else? Any idea how to set a tone to tasks on a Galaxy S2? Hy i was searching sumsung ringtone and i founded this.This is awesome sumsung ringtone website.You must visit once.